Last year AI was the hot topic of B2B technology shows. Robots were wheeled out for press conferences and content producers started to scratch their heads and wondered whether they’d be out of a job in five year’s time. Meanwhile, Finnish company Valossa was quietly showcasing its automated video recognition and insight tools and attracting significant interest. Valossa is a great example of a real- life use case for AI, which helps, rather than replaces, content producers as the growing amount of video streaming becomes impossible to curate using only human labour. Based on a proprietary technology using computer vision, natural language processing, information retrieval and pattern recognition methodologies, Valossa AI analysis videos, automatically generating descriptive tags, categories and overviews. The tech – which grew out of one of Europe’s leading computer science and AI labs at the University of Oulu – can be used to help locate and search archives for anything inside a video: dialogue, emotions, colours, objects and more. For non-live streaming, Valossa CEO Mika Rautiainen says that common use cases include “scene-level content search and discovery, highlighting potentially inappropriate content and enabling targeted advertising by providing insight on the content types and topics”. MICA RAUTIAINEN: AI will enhance the customer experience while increasing revenue and lowering OPEX for live streaming customers. For live, he adds, “it’s about fast recognition of important events and moments, as well as appearances of brands, key people and products”. The system’s ease-of-use and level of analysis is impressive: it not only recognises faces but even identifies the ages of people – though it somewhat unfairly labelled the 57-year old musician Stephen Duffy as a ‘senior citizen’ in the demo which I witnessed. Such issues, however, are rapidly being ironed out according to Sami Niska, Valossa’s chief sales officer. “The AI is constantly improving based on our customer data and feedback, and Insight Tools are being enhanced with features that make the training of customer-specific recognition a simple process,” she says. 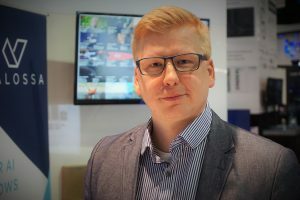 According to Rautiainen, in the start- up’s early phase, Finnish pubcaster YLE helped Valossa identify the most common needs in the content production via its YLE Beta incubation programme. HITTING THE TARGET: By providing insight into content types and tools, advertising can be much more targeted. More recently the firm has become focused on forming partnerships with video tool and system providers that integrate its recognition technology as new features in existing products. These include sales and technology partnerships with two media players: Accurate Player – a Sweden-based firm which offers a broadcast-quality HTML5 frame rate accurate solution for post production workflows; and GrayMeta, which is integrating Valossa technology into its platform. For individual companies and users, pricing is carried out on a self-service basis via Valossa’s online portal, based on analysed video minutes, so that customers pay only for what they consume. For those who want to try the product first, the company is currently offering 300 minutes of free analysis. 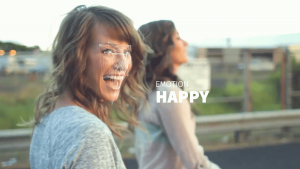 “Our price point is very competitive against other video recognition APIs. And the per-minute volume price decreases when the monthly volumes increase,” Niska adds. The solution’s accessibility, numerous use cases along the video content chain and its many technology partnerships has led to a $2 million round of funding to date, including finance from UK-based deep tech investor 01 Ventures as well as from Reaktor Ventures and Butterfly in Finland and a number of angels. 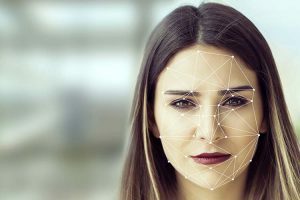 But Rautiainen and Niska also hope that the firm’s AI solutions will generate revenue for users too: “AI will enable better customer experiences, and thus more revenue and lower OPEX for our live streaming customers,” Rautiainen says. For more information about Valossa, visit their website.